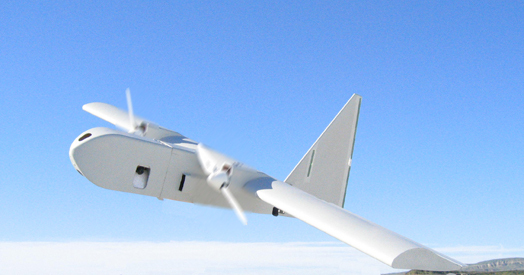 Small Unmanned Aircraft Systems (UAS) - AeroVironment, Inc.
AeroVironment developed the Nano Air Vehicle (NAV) under a DARPA sponsored research contract to develop a new class of air vehicle systems capable of indoor and outdoor operation. 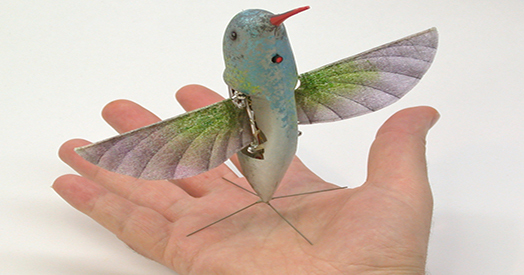 Employing biological mimicry at an extremely small scale, this unconventional aircraft could someday provide new reconnaissance and surveillance capabilities in urban environments. The Wasp Micro Air Vehicle (MAV) has built upon the technology amassed from the earlier DARPA Black Widow MAV program. 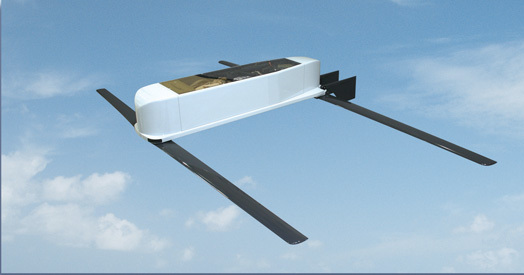 With a wingspan of 41 cm and a weight of 275 grams, the Wasp is AeroVironment’s smallest UAS. 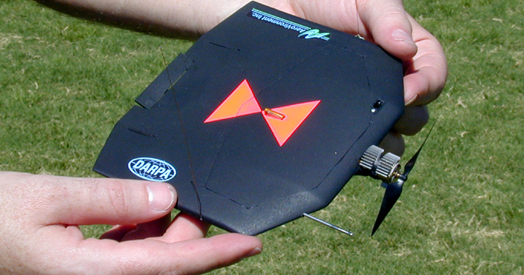 Wasp can be manually operated or programmed for GPS-based autonomous navigation. 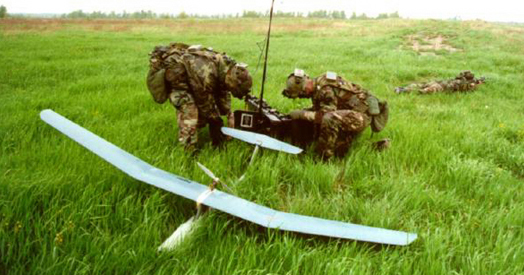 To ensure system interoperability, Wasp uses the same advanced technology found in other AeroVironment’s UAS, such as Raven RQ-11A and Puma, and is controllable through a common Ground Control Station. HawkEye was designed to deliver critical payloads covertly to ground personnel through the use of standoff, high-altitude, air launched deployment that can be followed by a conventional landing approach recovery of the primary vehicle. This silent and stealthy expendable glider is designed to penetrate up to 80km fully autonomously, or to be remotely piloted all the way to its payload delivery point. 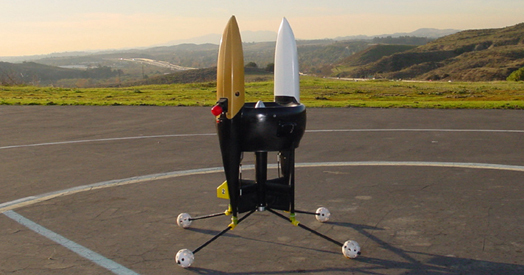 HawkEye was a scale-able concept demonstrator program, which has successfuly demonstrated a payload delivery capacity of 25kg. Other larger capacity variants are currently being explored, and include optional propulsion systems to extend endurance and range. PUMA delivers flexibility, endurance and a payload capability unmatched in its vehicle class. With a wingspan of 8.5 feet, this lightweight, hand-launched UAS provides aerial observation at line-of-sight ranges up to 10 kilometers. PUMA can be recovered in very tight areas using vertical descent AutoLand and is currently undergoing sea landing trials. 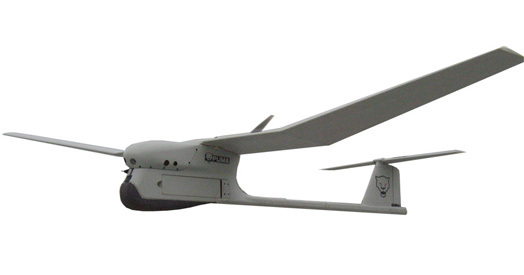 PUMA is currently being manufactured by AeroVironment’s UAS Systems. Dragon Eye was developed by the Naval Research Laboratory (NRL) for use by the US Marine Corps dismounted light troops to provide tactical reconnaissance and surveillance. As part of a full and open industry-wide competition, AeroVironment was selected to optimize the design for enhanced manufacturability and reliability. 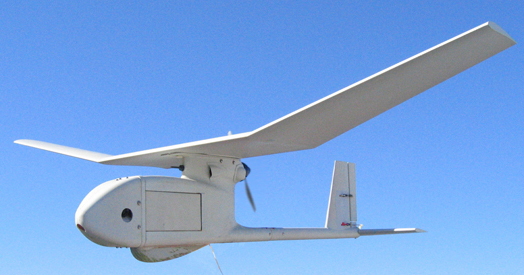 In November, 2003, following extensive field evaluations and competitive down-select by the customer, AeroVironment was awarded a 5-year, sole-supplier manufacturing contract for Dragon Eye. The system operates autonomously, requires minimum training and captures either color, low-light black and white or infrared video. A bungee cord method is employed to provide rapid launch and ascent, and Dragon Eye is recovered by a conventional glide-slope approach landing. Dragon Eye was manufactured by AeroVironment and was used by the USMC for light infantry, dismounted, and urban warfare. The Raven RQ-11A is a battle proven solution designed for rapid deployment and high mobility for both military and commercial applications. With a wingspan of 4.5 feet and a weight of 4.2 pounds, the hand-launched Raven provides aerial observation at line-of-sight ranges up to 10 kilometers. The system can be flown manually or autonomously through set way-points with options of either a daylight or infrared camera, allowing both day and night operations. Over 3,000 Ravens have already been deployed to US Forces for use in light infantry Military Operations in Urban Terrain (MOUT) and dismounted warfare. Originally developed for the U.S. Marine Corps in 1986, Pointer is a man-portable system that provides the capability for troops to see over the next hill with a hand-launched UAV. The System provides color or IR video, from either front or side views, operates using GPS-based AutoNavigation or man-in-the-loop control, and can be recovered in very tight areas using a unique vertical descent AutoLand. 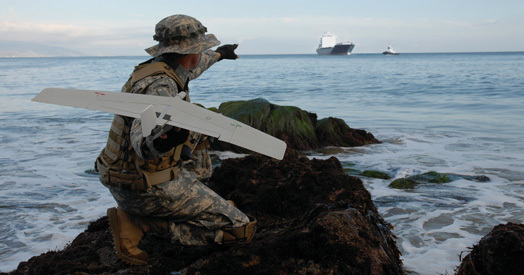 Pointer is acknowledged as a standard of measure for small UAV system performance and capability with US Forces. Since its initial deployment, Pointer has been used for light infantry Military Operations in Urban Terrain (MOUT) and dismounted warfare and Special Operations. The Hornet made what is believed to be the world’s first successful flight, on March 21, 2003, of a Micro Air Vehicle (MAV) powered entirely by a hydrogen fuel cell. The Hornet was developed under a DARPA sponsored research contract to explore innovative propulsion and structural concepts for unmanned vehicles of this type. The innovative concepts developed for Hornet may enable multi-hour flight of MAV sized vehicles in the future. The Kestrel Organic Air Vehicle (OAV), developed for Honeywell and the Defense Advanced Research Projects Agency (DARPA), is a fully autonomous vertical take-off and landing UAV using a lift augmented ducted propulsion system. AeroVironment developed two prototype systems, each weighing less than 12 pounds, that demonstrated fully autonomous take-off, waypoint navigation, and landing. The prototype was also the first ducted fan system of its type to demonstrate transition from hover to high-speed, forward flight, and back to hover. 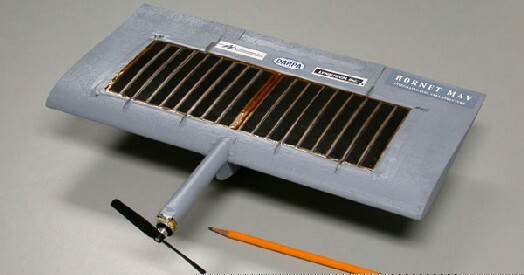 The prototype systems included color EO and IR payloads, and was developed, fabricated, and demonstrated in just nine months, accomplishing approximately 250 flights. Black Widow was the world’s first operating MAV System. Weighing in at only three ounces and measuring six inches across, the Black Widow was developed for the Defense Advanced Research Projects Agency (DARPA). At the conclusion of this work, Black Widow was able to demonstrate automatic launch from a protective carrying cassette, followed by a flight of over 30 minutes, with a range of 1.8 km at altitudes up to 800 ft. The payload comprised a color video camera and downlink and included other stability augmentation and flight data sensors. In recognition of this work DARPA presented AeroVironment with its prestigious Award for Outstanding Performance by a Small Business Innovation Research (SBIR) Contractor, in June 1999. The Black Widow team also accepted the 1999 Shephard’s Press, Unmanned Vehicles Magazine Readership Design Award in Paris, France.